Kathy just completed design work on the next show of CCRI's 2016-2017 Season. 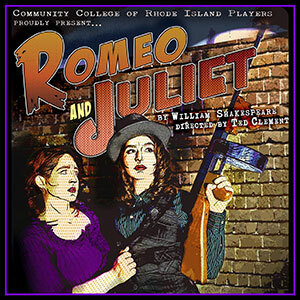 Set in Chicago during the 1930s, Romeo & Juliet opens this Thursday at 7:30pm and runs through Sunday at the Warwick Knight campus. Directed by Theodore Clement, the performance features set design by Luke J. Sutherland; costume design by Marilyn Salvatore; lighting design by Kathy Abernathy, assisted by Jamie Allstrom; sound design by Kaisey Caputo; makeup design by Tabi Baez; and technical direction by Justin Carroll. Jim Beauregard is the fight and dance choreographer and the leader of the live swing band is John McKenna. Tickets cost $10 for the general public and $8 for students and senior citizens. Telephone reservations may be made by calling 401-825-2219 at any time. Check out their website for more information and a complete cast list. Here at ALD, we just completed work on Phase 2 of the Motorsports Hall of Fame project in Daytona Beach, Florida. Our 4 days of work on site culminated in the grand opening of the Robert E. Petersen Theatre and Gallery on February 17th. 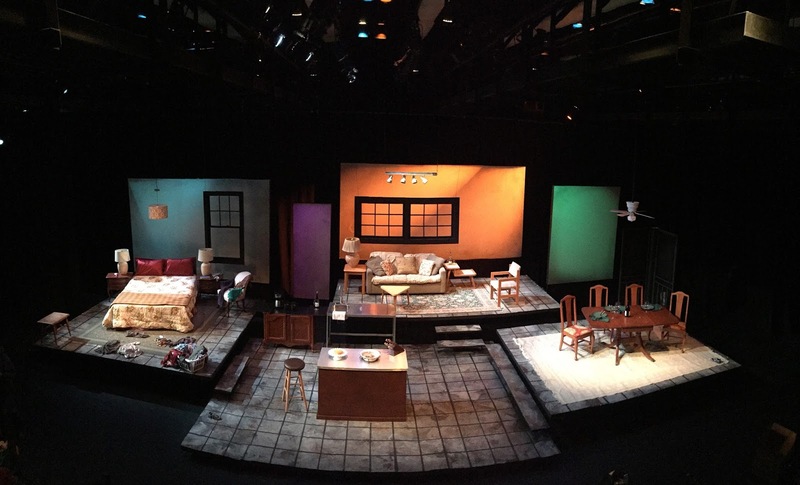 Chris and the team at Rhode Island College Theatre recently completed work on DINNER WITH FRIENDS, which opens tomorrow and runs through Sunday at RIC's Helen Forman Theatre. Be sure to check it out! Winner of the 2000 Pulitzer Prize for drama, DINNER WITH FRIENDS examines the lives of two couples and the repercussions of divorce on their friendships. With wit, compassion and consummate skill, playwright Donald Margulies weighs the cost of breaking up and of staying together. "…Margulies writes about relationships with such intelligence and spiky humor that his comedy-drama…becomes something quite wonderful." It's a bird, it's a plane, no... it's drone lighting design! This year's Super Bowl half time show, featuring Lady Gaga, included a pre-recorded lighting display made entirely using drones! Intel's 300 "Shooting Star" drones were equipped with LEDs and programmed to create colorful shapes in the sky, including a patriotic American flag. The display was granted a special dispensation from the FAA to fly up to 700 feet, which is the highest the "Shooting Star" drones have ever flown. Check out the article on Variety.com to learn more and see videos of other LED drone lighting displays or check out CNET's article on why the Super Bowl display was pre-taped!